I have had enough. 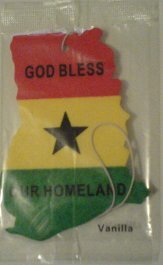 I am leaving the United States and going to Ghana. I have told people it is just a week's worth of vacation to visit family members, but I actually do not plan on returning. Nor do I plan to continue updating this website. As computers and the Internet are not going to be a part of my new life, you should not expect to see any new posts here. It's been fun. Goodbye now.